Recipe for Fitness: Kale, YEAH! Check this out!!! 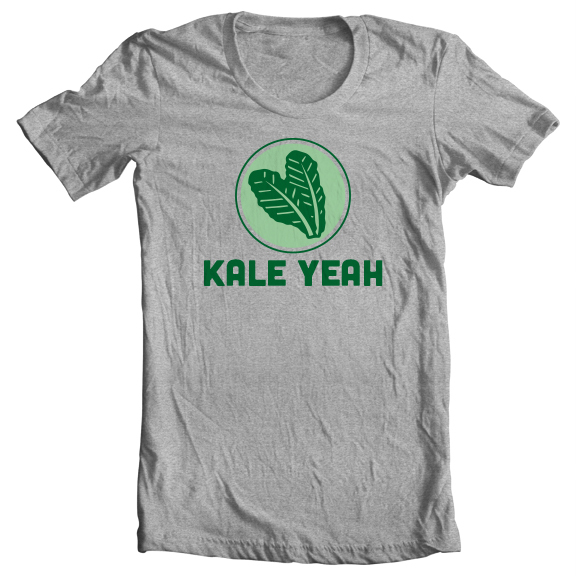 Kale, YEAH! Check this out!!! I know I've got a lot of catching up to do with ya'll from my birthday weekend (had a great time, minus being sick as a freakin' dog). BUT... I wanted (and got permission, lol) to share this with you! One of my fav bloggers, who I've followed for years, (http://fitnessista.com/) sent out an email this morning for pre-orders for this shirt. I've already ordered mine :-) Now... while I love the shirt - serious chuckles there, what I love even more is the work the shirt does. I've included the info below, and encourage you, if you're able, to purchase your own shirt, and in doing so, provide 12 emergency meals to families in need this holiday season. Don't worry about choosing a size during order, you'll get an email after you place your order with instructions on sizing. ;-) If for some techy-glitchy reason the links below don't work, just use this one. Since the early days of blogging, I've been asked to create a shirt or some type of apparel for the blog. Ever since then, I knew that if I decided to create something, I wanted to find the best possible supplier. There are many overseas suppliers (who can create bulk orders for insanely low prices), but I wanted something created here in the US using sustainable materials. I finally found my dream match, and even better: by partnering with them, we're supporting an incredible cause. Fed By Threads is based out of Tucson, AZ (my hometown!) and the company is near to my heart. The owners, Jade and Alok, are amazing, and even let us film Soli Beat at their studio, the Movement Shala. 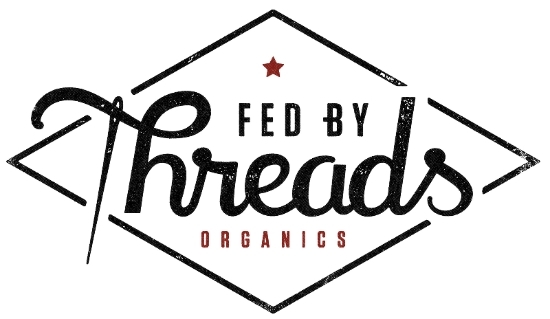 Everything from Fed by Threads is from upcycled, sustainable and organic materials. With each item of clothing that they sell, 12 meals are provided to hungry families on a local and national level. You can read more about their mission here. So far, they've provided the funds for over 200,000 meals!! They are preshrunk, but run small. Order one size up! Want to get one? Pre-order here (via PayPal!). They are $30 (+ $4.99 shipping and handling). I will be packing and sending all of the orders with love.